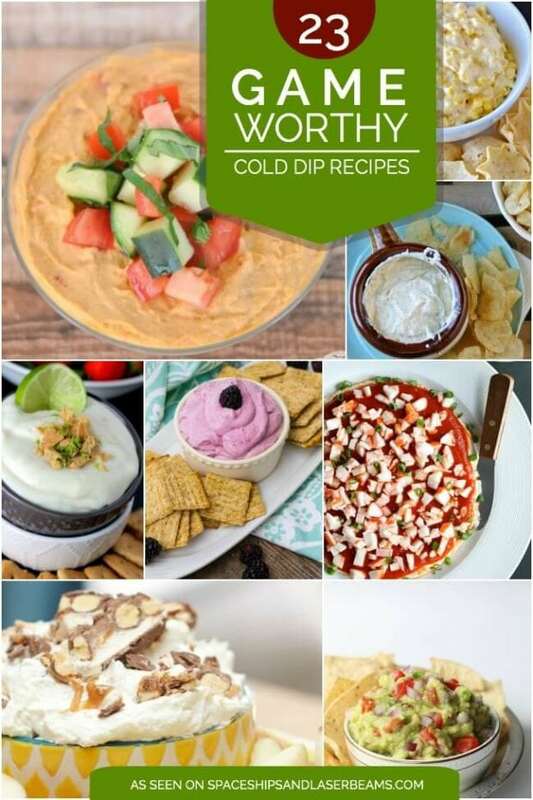 An entertaining staple, hot dip recipes are a great choice when it comes to providing a crowd-pleasing party menu option. Your family and guests will love dipping chips, crackers and bread in everything from gooey and cheesy warm bacon dip to jalapeño popper dip and Philly cheesesteak dip. I’m eager to try the hot caprese dip myself—yum! 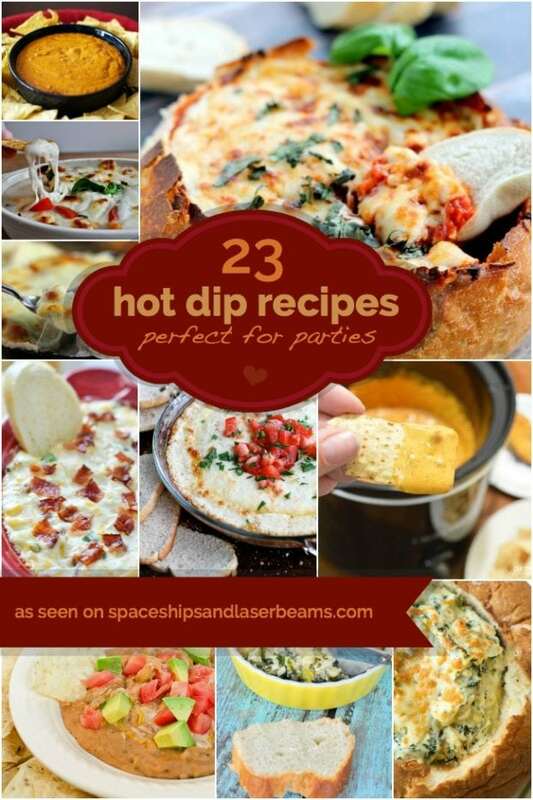 Dip away with these 23 hot dip recipe ideas! This Cheese Pizza with Pineapple Bacon Dip will be a hit at your next party. Change up the party menu with these Peppered Chicken Bites with Mango Dipping Sauce. We love these 29 Appetizers for New Year’s Eve! Did someone say bacon? 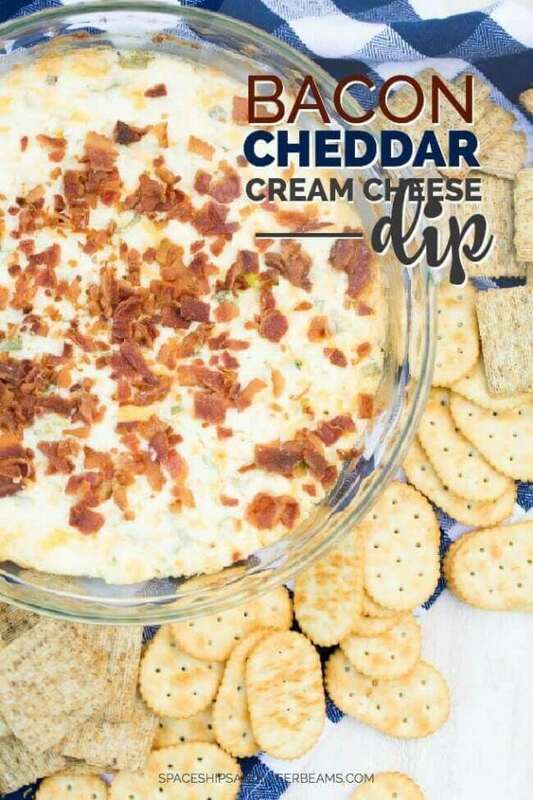 This Bacon Cheddar Cream Cheese Dip will definitely delight the bacon lovers (and who isn’t a bacon lover?)! This dip will disappear quickly, so be sure to make lots. Plus, it can be prepped, making it easy for you to get together ahead of time! 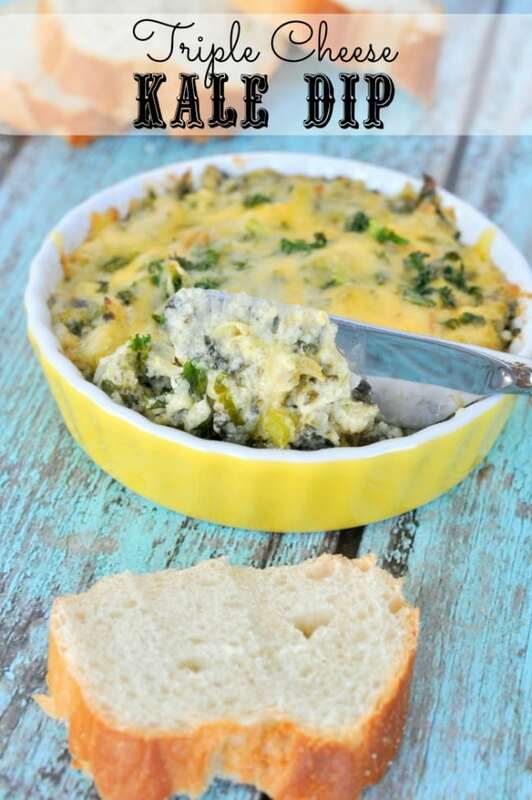 This Quick and Easy Spinach Artichoke Dip may just be the easiest to prepare and best of its kind. 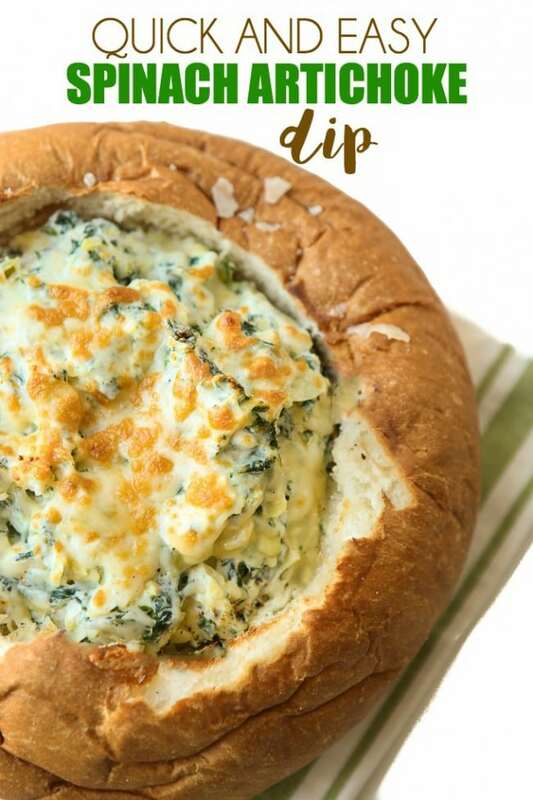 Creamy ingredients and chopped veggies can be served up in a bread bowl in less than 10 minutes. Toast up the insides of the bread for something tasty to have with this delicious dip. Using the bread bowl means nothing to clean up after. 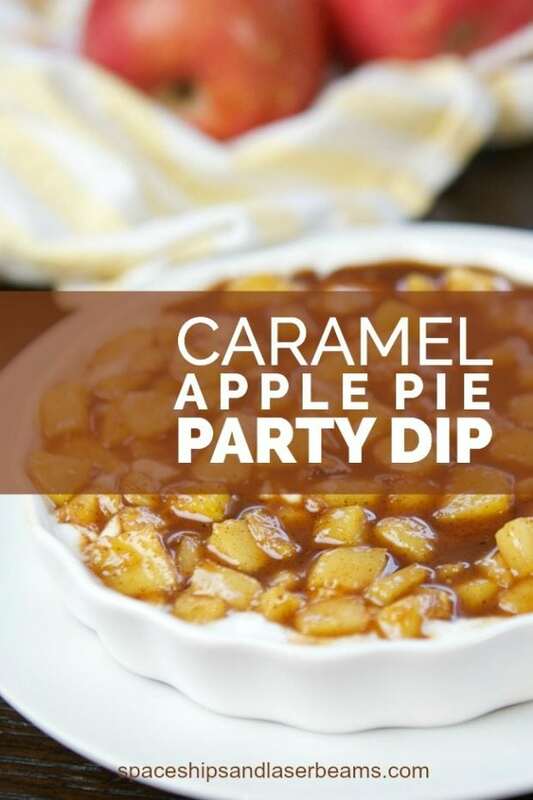 Whether you are a party of 1 or more, this Caramel Apple Pie Party Dip can satisfy that need for something sweet! And if it means you’ll eat more apples, it can’t be a bad thing, right? Pair this with graham crackers or bake up some small pieces of pastry dough for something sweet to dip with. 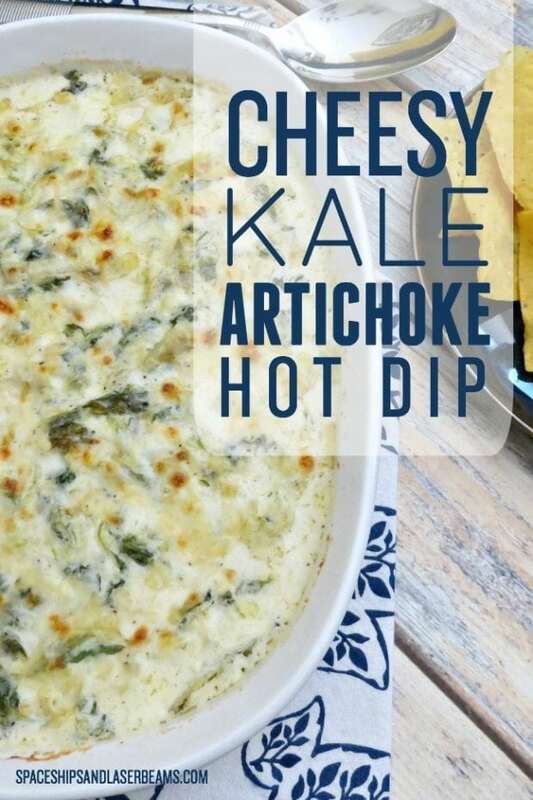 Combine the nutritional benefits of kale and artichoke with the creaminess of the other ingredients and you’ve got one delicious dip on your hands. Guests will love having a savory option on your refreshment table. 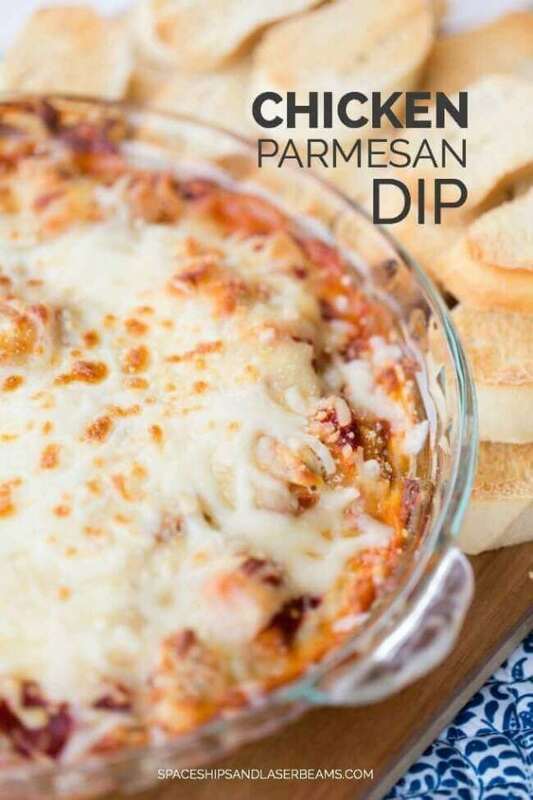 I mean, who doesn’t love cheesy dips after all? 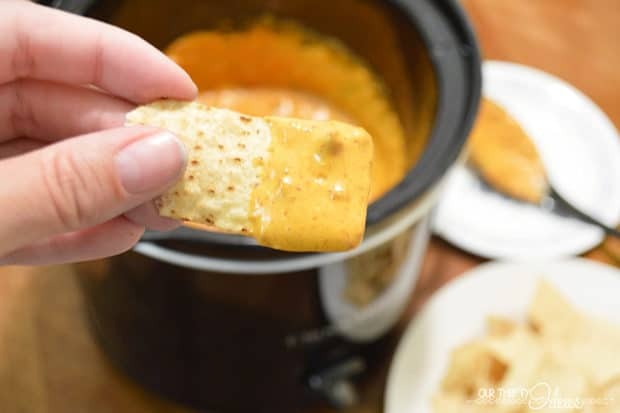 If you’re looking for the perfect thing to take to a potluck, this Crockpot Chile con Queso may be the winning recipe! With just a few ingredients, this dip is super simple. Plus, being a “dump and go” recipe, it can’t get much easier to prepare. The crockpot keeps it nice and warm the whole event long. Full of flavor and extra cheesy? 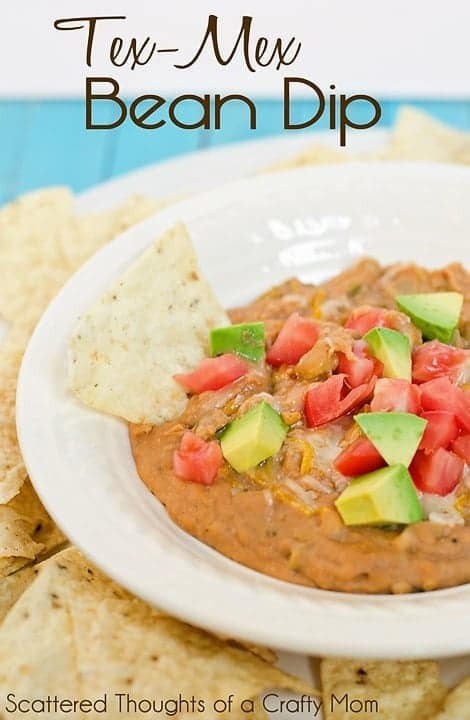 What’s not to love about this Tex-Mex Bean Dip that can be prepped in a slow cooker or on your stove top? This would be a perfect addition to any game day snack table. 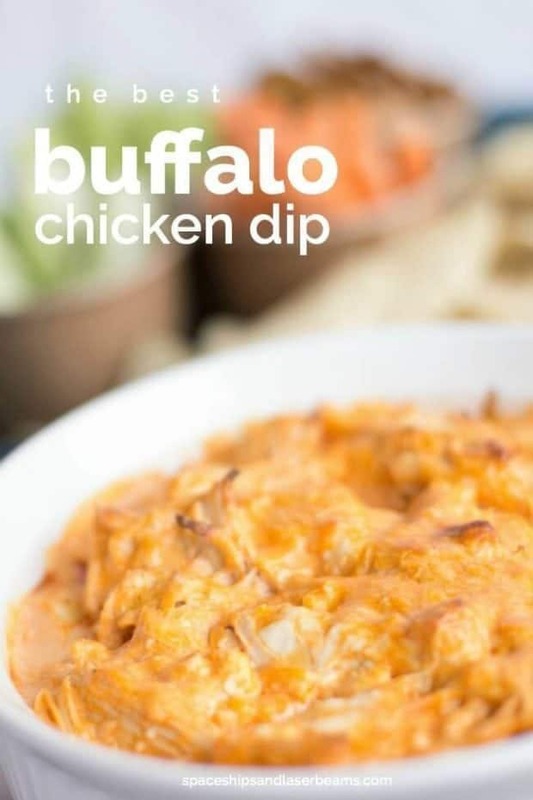 Kick up the heat a notch or two with the Best Buffalo Chicken Dip Recipe Ever! Like a lot of heat, add the full amount of hot sauce (or even a touch more). Like less heat, lessen the amount. Either way, this recipe will be a favorite at gatherings with loved ones. Invite a few friends over and serve up this Triple Cheese Kale Dip with bread or chips for a perfect weekend snack! Or, forego the friends and dish up a bigger plate for yourself! This recipe is so delicious you may not want to share! Not every dip is cut out for parties, but this Jalapeno Popper Dip is! It’s hot, but not spicy and full of creamy flavors that may just make it your party dip staple. It also includes cheese and pieces of bacon, making it even more irresistible. Who doesn’t love chips and queso? Also, who doesn’t love a super simple recipe? 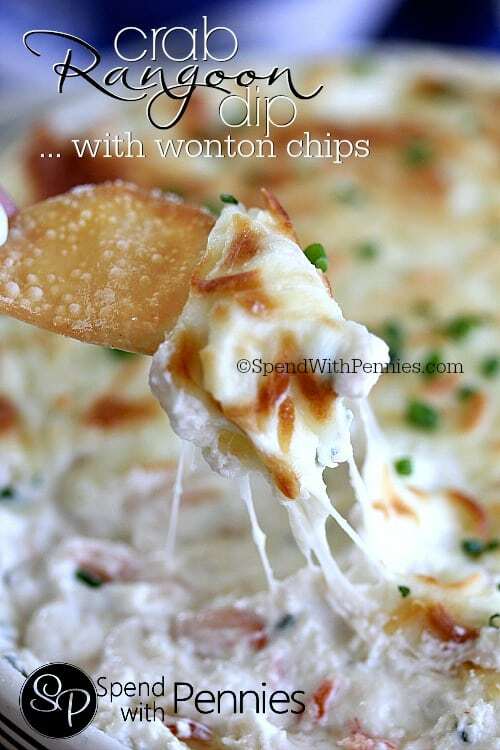 This recipe is simple and deliciously cheesy. 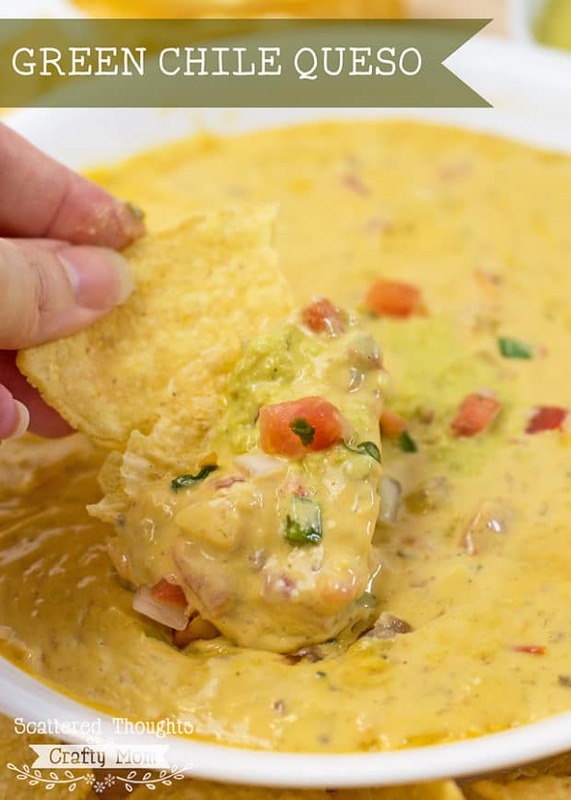 You can take your queso to the next level with this Spicy Green Chile Queso recipe! 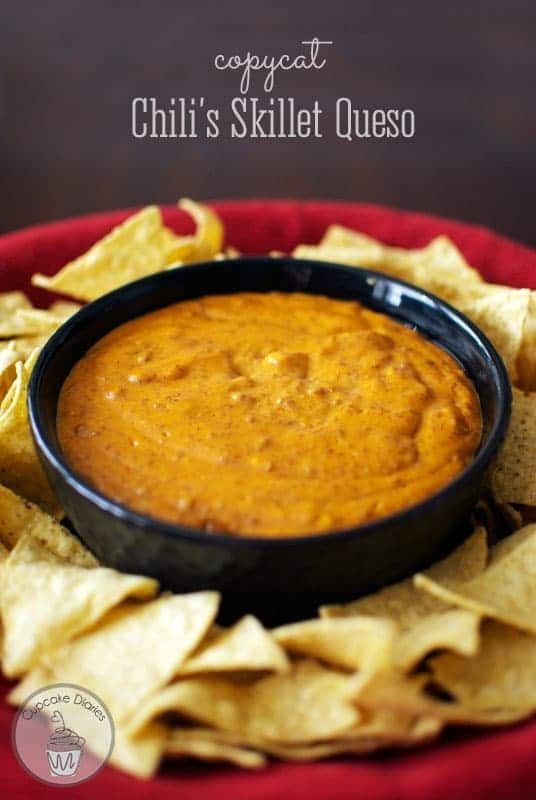 If you want a hot dip that will last the entirety of your party, this isn’t the one. 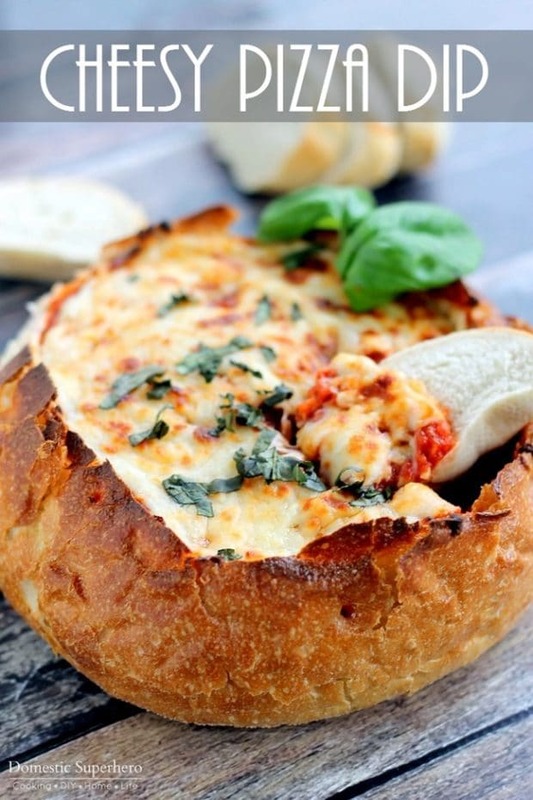 The cheesiness, spicy tomato sauce and crispy bread combine in this Cheesy Pizza Dip Bread Bowl recipe in such a perfect way, it will be gone in minutes! 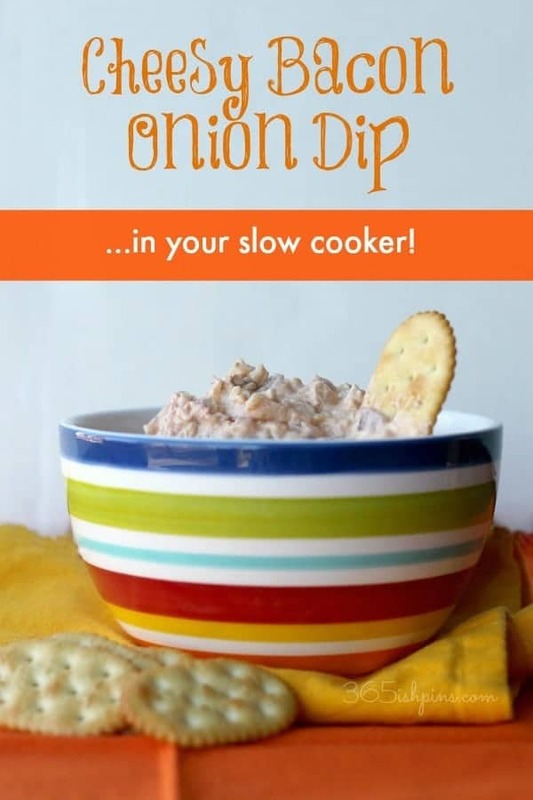 It’s an easy and delicious dip that you can make for ANY occasion! Your family will beg you to make it again and again. The cheese, chicken, and spices combine for a delicious dish. Use some bread to dip with, and you have a winning dish! Two words: cheese and bacon. Packed with flavor, this recipe calls for some prep, but can be kept warm easily in a crockpot after cooking! Once you’ve got it in the crockpot, sit back and relax because in a few hours you’ll have a tasty hot dip ready to eat. 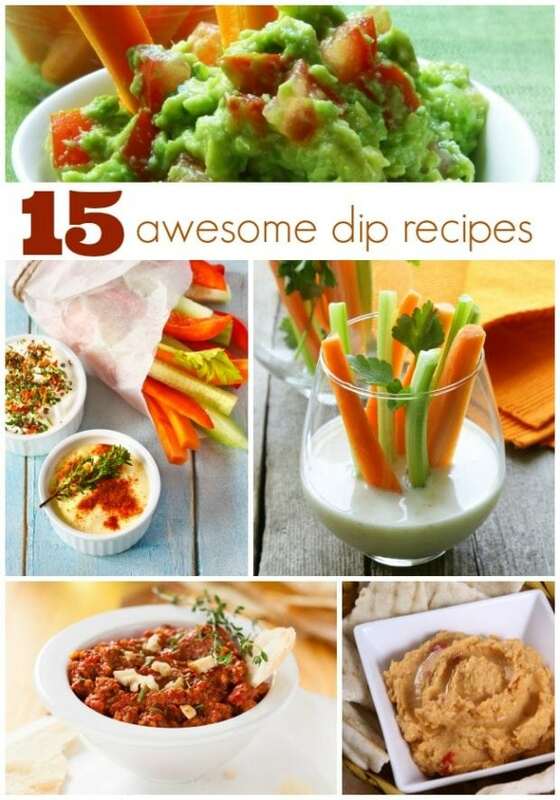 Your hard work to prepare this dip will not go to waste! The thing that makes this Quarterback Dip special is the fact that the recipe uses real cheeses! 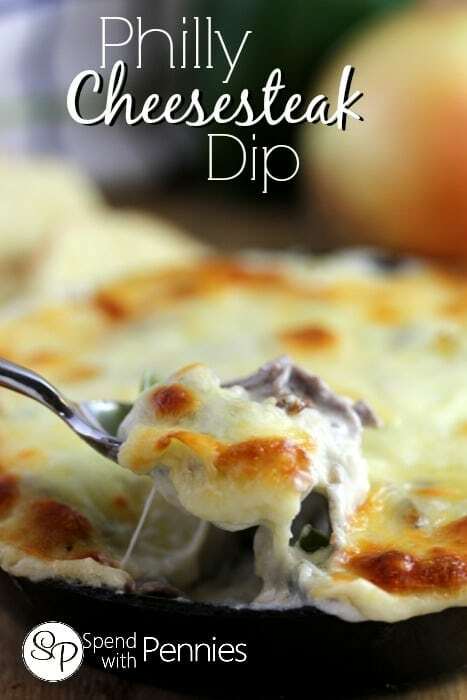 If you like a healthier alternative to processed cheese, this dip is a fantastic choice! This hot dip can be prepared in no time, whether it’s for a quick and delicious snack or a last minute addition to the menu for a party. A simple three-ingredient hot dip that cheese lovers will go crazy for. It’s so easy, it even tastes great reheated. A savory dish that everyone will love. Don’t be surprised if there aren’t any leftovers! Are you looking for a delicious appetizer to please and feed a crowd? 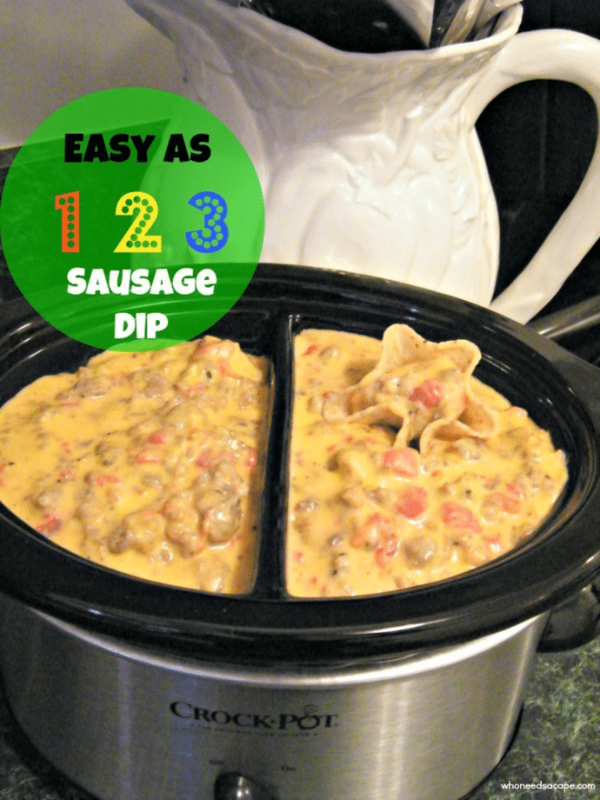 Try this recipe for Sausage Dip! In just a few easy steps, you’ll be so glad you did! All you need is a few ingredients and a crockpot to be successful in making this super simple hot dip. Once you’ve got it started, you’ll be free to enjoy the company of your friends and family! If you love Chili’s Skillet Queso, this copycat recipe may bring joy to your life! All you need to bring your queso dreams to life is a crockpot and a few ingredients + spices! This dip will taste great and save you some money since you won’t have to go out to get it. 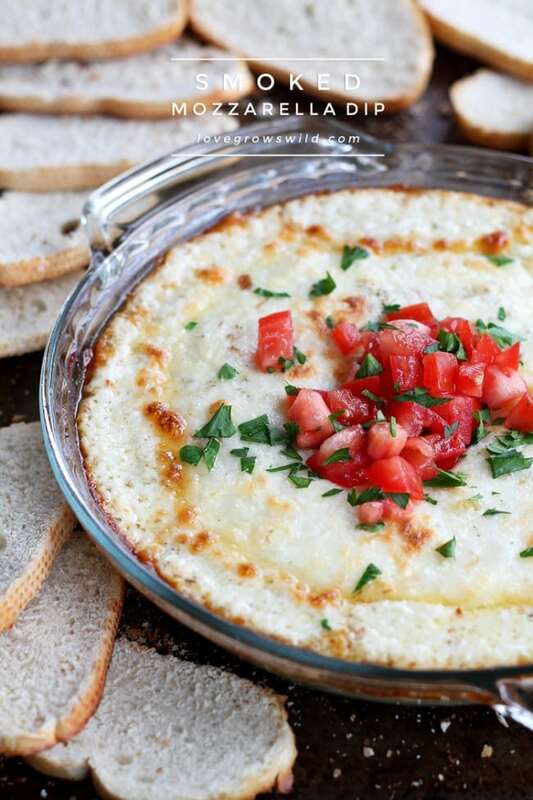 This recipe for hot Smoked Mozzarella Dip may just make your party! Four cheeses melt into one amazing mixture, perfect for dipping! Pair this creamy dip with some bread for a hearty appetizer before dinner or a filling snack. Have you tried the traditional Kentucky Hot Brown sandwich? This Kentucky Hot Brown Dip combines parts of the classic sandwich (turkey, bacon and some creaminess) with tomatoes for a new twist on a classic! This recipe provides a healthy take using light cream cheese and Greek yogurt! 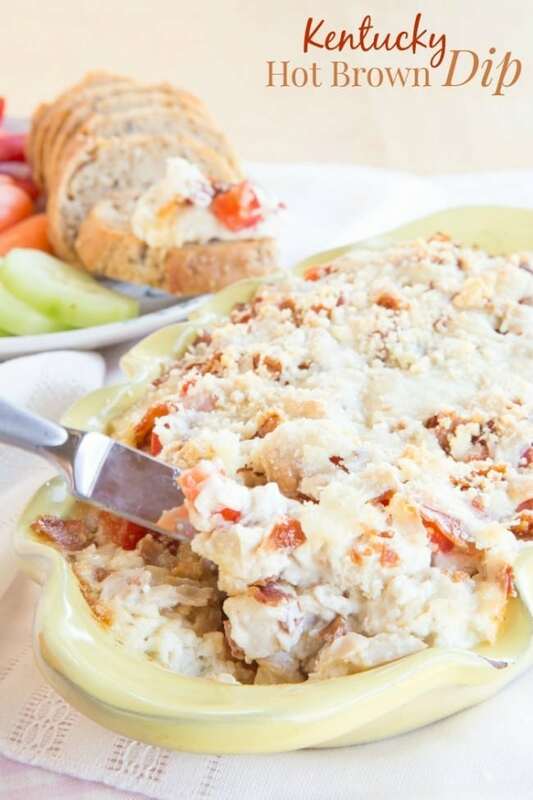 You will love this hot, creamy and cheesy crab dip! Treat the seafood lovers that come to your party with this delicious dip. This can be served with crispy wonton chips, making a perfect pairing. Make this fun twist on a classic today! Not only tasty, but it will be hearty and filling. This dip is full of deliciousness such as steak, onions, and peppers. Make sure your guests are full when they leave your party by setting this out! 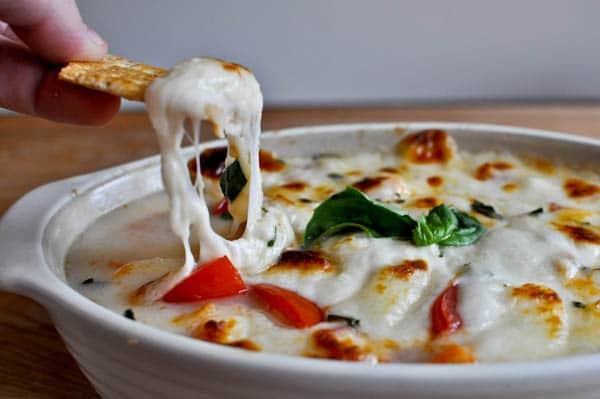 Three ingredients and a warm oven are all you need to create this delicious Hot Caprese Dip. When the bubbling, cheesy goodness comes out of the oven, we dare you to try and stay away. (Impossible!) This will become a staple recipe with how delicious it is. This recipe combines the best parts of two different recipes—a buffalo chicken dip and a BBQ chicken pizza! Not only does it have the delicious BBQ chicken on top, but it has all of the other tasty toppings found on top of a pizza. 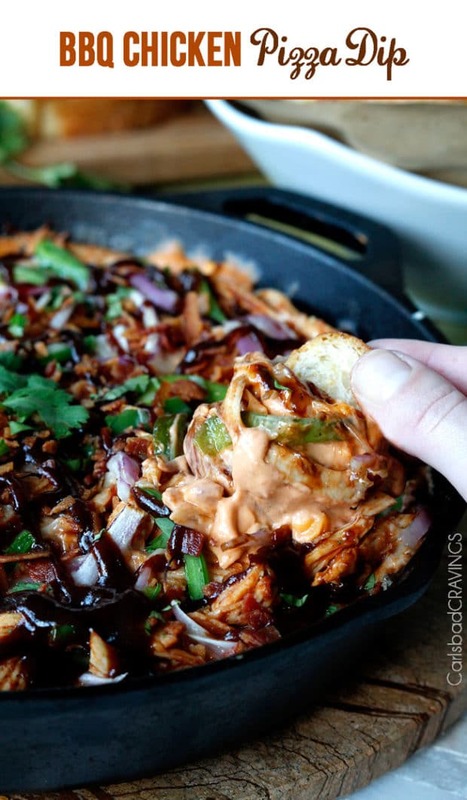 Prepare yourself for an out-of-this-world BBQ Chicken Pizza Dip experience!